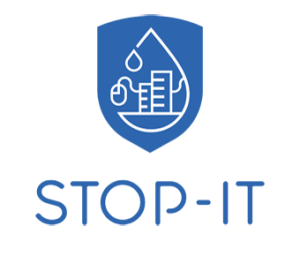 The creation and maintenance of this website takes place within the research project “Strategic, Tactical, Operational Protection of water Infrastructure against cyber-physical Threats” (short STOP-IT), funded under the European Union’s Horizon 2020 research and innovation programme under grant agreement No. 740610. Responsible for the content of this website is IWW and the other project partners. The project partners have the copyright to the content of this website. Using, changing or copying the content is only permitted with the explicit permission of the authors. Saving copies of web pages on a personal computer for the purpose of viewing them with a browser is permitted. The photos and images on this website are taken from Shutterstock or private sources. Please find a list with all picture credits here.